In Puerto Rico they're called "satos," and in the Bahamas they're called "potcakes." But there are no special names for the stray dogs living on the streets and beaches of Mexico, and there are many of them. In some places, street dogs outnumber the people. 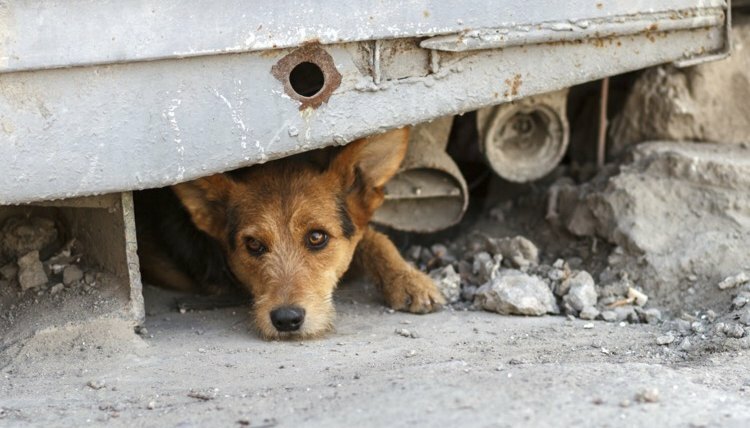 There are thousands of stray dogs living in the streets and on the beaches of Mexico. Though there are no hard and fast stats for how many dogs are eking out an existence in Mexico, Mexico City authorities report that they capture and kill an estimated 20,000 dogs per month in their city alone. In Manzanillo, a city in Colima, there are more than 16,000 dogs and cats living on the streets. With little food and sustenance, searing heat and very little shelter, these dogs have few friends and a lot of enemies. Because they lack basic care, they succumb to diseases and serious problems such as claws growing into their feet and coats matting, which pulls on the skin and creates a safe haven for insect larvae. They are infested with fleas and ticks, and many suffer from mange. But starvation, dehydration, sickness and exposure are not their biggest challenges; tragically, their biggest challenges are apathy and ignorance. There are many stories all over the Internet of street dogs in Mexico being tortured by kids, killed for sport and tossed overboard when they sneak onto a fisherman's boat to look for scraps. Anti-cruelty laws, if they exist at all, are ambiguous, authorities typically don't prosecute offenders. On top of that, spaying and neutering is not widely accepted. Many don't believe in neutering because they believe that doing so will somehow compromise a dog's canine masculinity, as reported by Smithsonian Magazine, and explored more fully in a documentary about Mexican street dogs entitled "Companions to None." Though there are millions of animals being put to death every year in the United States due to overpopulation, the problem in Mexico is far more critical. Not only are there more stray dogs, but the manner of euthanasia is far from a humane "nighty night" drug. According to the Humane Society International, phenobarbital, the drug most used to euthanize animals in the States, has been denied to Mexican veterinarians. They use electrocution instead. It's a painful and inhumane death, but it is inexpensive and available. There is hope. There are several rescue and spay/neuter programs in place. Mexican Mutts rescued approximately 529 dogs since 2001, a figure that, when compared to the average American shelter, is not very impressive. They have sterilized over 1,000 dogs, but it's a drop in the bucket in light of the huge problem. in Manzanillo, PATA is working in service to these unfortunate animals, and then there is Alison Sawyer Current, the director of the "unofficial humane society of Isla Mujeres, Mexico," who reports she gets "buckets" of puppies on her doorstep every day. The Humane Society of the United States International works with local shelters to provide a resource.